Source of title proper: Title based on subject. Typed annotation on verso reads: "Matt Caldwell on GTP/CNR turntable at Endako c. 1950. 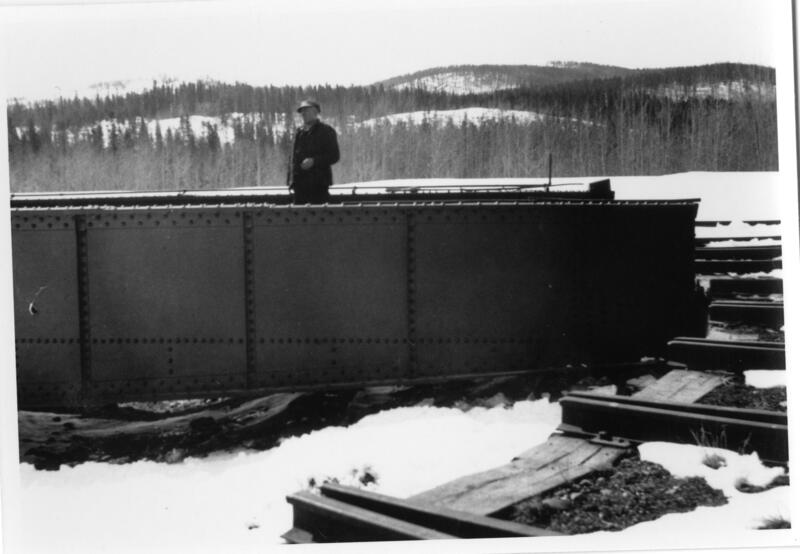 Pre-WW1, Matt worked as boiler maker for Grand Trunk in Montreal & later in Edson. He served in WW ! with First Pioneers from P.G. 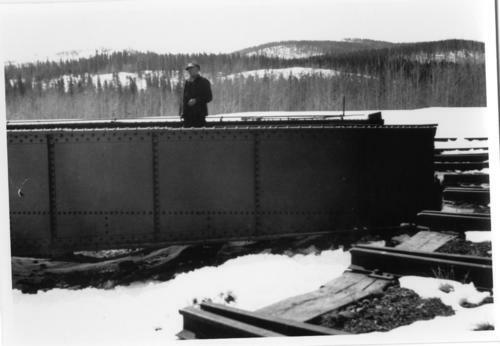 and after the war became (eventually) Loco Foreman in Endako: retired c. 1950. Photo: May Caldwell Dockrill (daughter) & "Deeper Roots & Greener Valleys", published by Fraser Lake & District Historical Society."